Loved the host hospitable attitude. It is easy to get into the apartment, as the owner sent very detailed information about everything. Perfect accommodation with excellent accessibility. I should recommend this one to any large group traveling to Vienna. Everything else was perfect! Clean big rooms, confy beds, goods location. Apartamento em frente ao metro e a um optimo supermercado com padaria e charcutaria. Fica perto do centro e bem servido de transportes públicos. O anfitrião assegurou a recolha da bagagem gratuitamente até as 16.30 no dia da saida. Appartement de très bonne qualité, propre. Confortable avec tous les ustensiles de cuisine et salle de bain. Wifi de bonne qualité. Très bien situé juste en face du métro. L'appartamento si trova esattamente di fronte ad una fermata della metro. Alles top! Die Wohnung ist sehr schön eingerichtet. Die lage ist wunderbar, gegenüber der U-bahn! Wer schnell in die Innenstadt möchte - hat alle Karten. Der Gastgeben ist super organisiert! Antwortet sehr schnell auf die Fragen. Einfach klasse. Jedes Mal wieder! Zona tranquila. Aunque da a una calle principal es muy silencioso. En 30min estás en todos los sitios andando. Lock in a great price for Vienna 1090 – rated 9 by recent guests! One of our best sellers in Vienna! 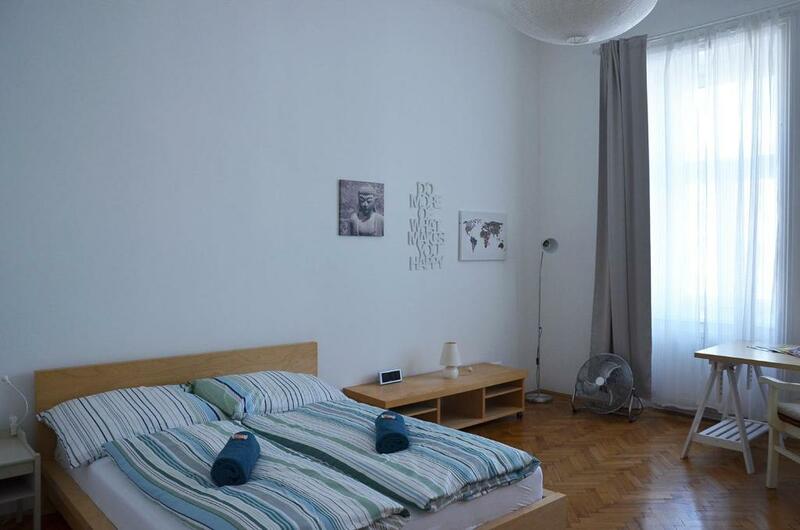 Located 1.4 miles from Rathausplatz, Vienna 1090 has free WiFi. Each unit has a dishwasher, oven, a coffee machine, as well as a toaster and electric tea pot. Some units also have a kitchen equipped with a microwave. Vienna City Hall is 1.7 miles from the apartment, while Vienna Volksgarten is 1.8 miles from the property. The nearest airport is Schwechat Airport, 14 miles from the property. When would you like to stay at Vienna 1090? This apartment has a dishwasher, kitchen and stovetop. House Rules Vienna 1090 takes special requests – add in the next step! Probably the only cost for location next to U-bahn was lots of street lights behind the windows. But it was mostly solved by curtains.